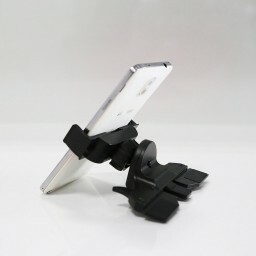 -Stretchable holder can hold 3.5" to 6.3" Devices. Full 360 degree rotatable, can be mounted with any thick or thin protective cases on it, such as Mophie® battery cases or otter box case. 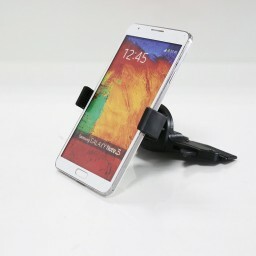 -Stretchable holder can hold 3.5" to 6.3" Devices. -Full 360 degree rotatable, can be mounted with any thick or thin protective cases on it, such as Mophie® battery cases or otter box case. -Firmly mounts cell phones, satellite radios, GPS units, MP3 players and more. 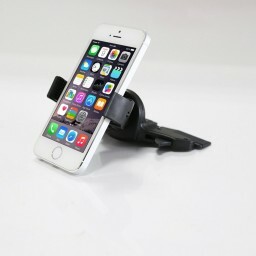 Compatible with all iPhone, Samsung Galaxy and all other smartphones. -Simply inserts into front loading CD player slot in your car while still allowing CD play. 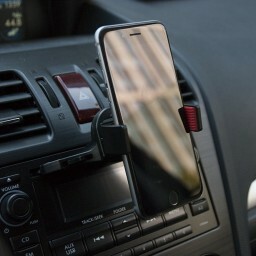 -The CD Slot is the best positon can keeps your smartphone where you need it most -----without obstructing your view, convenient than dashboard or windshield.